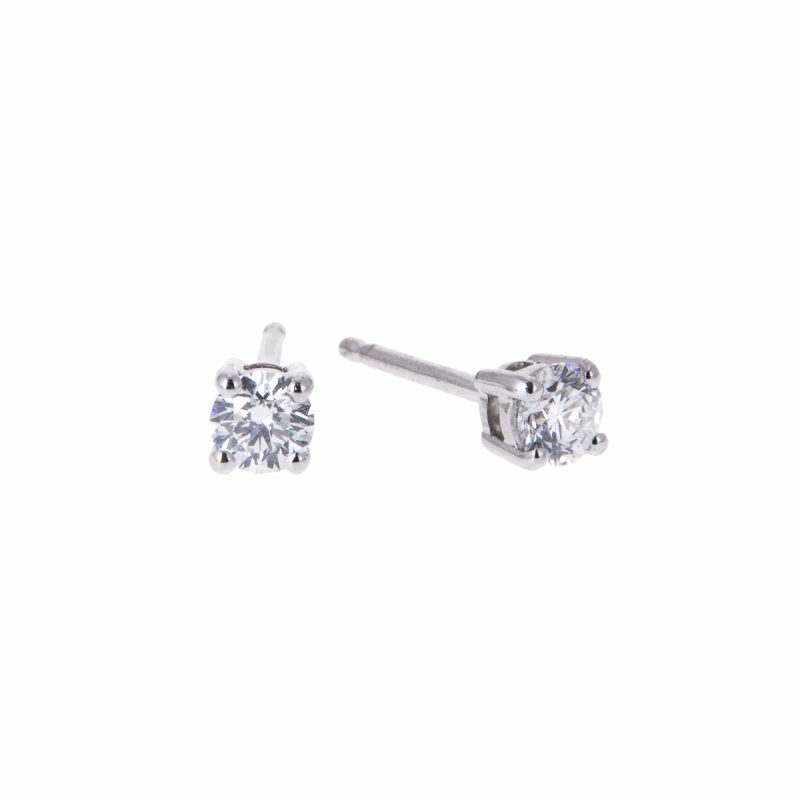 18ct white gold brilliant cut diamond stud earrings with a brilliant cut diamond halo. 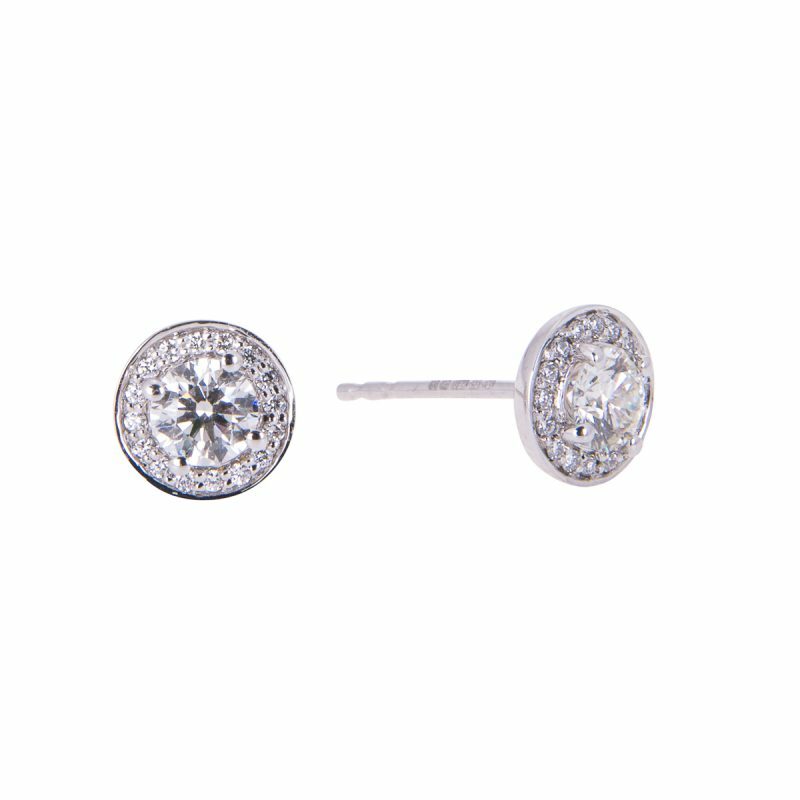 See what dreams are made of with this modern take on a classic cluster earring. The claw set central brilliant cut diamonds, weighing 0.56ct in total, radiant energy, nestled by a collection of sparkling smaller diamonds, mounted with post and butterfly fittings. 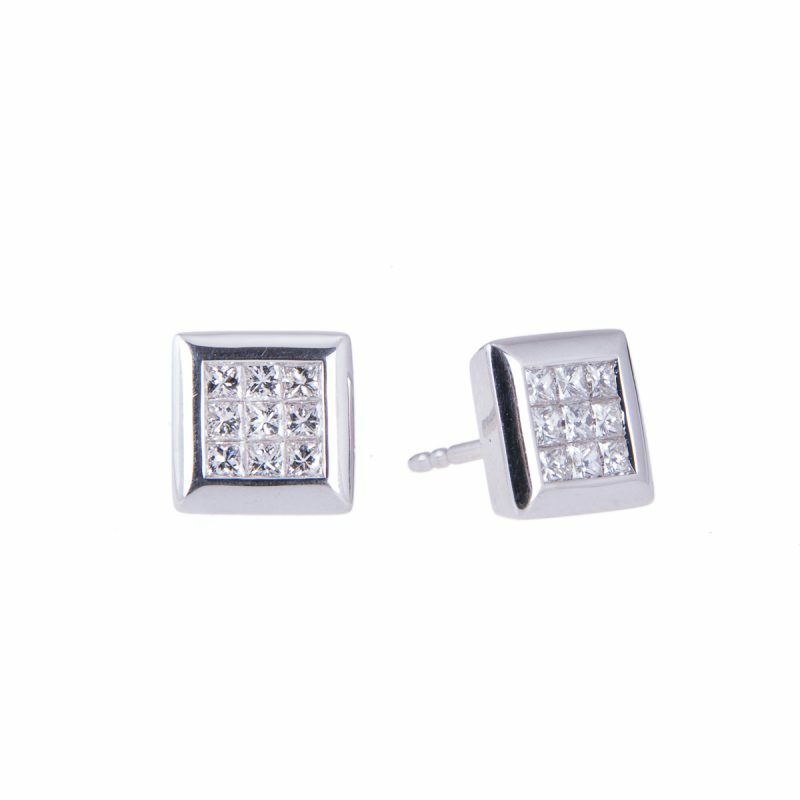 These elegant a versatile studs can be worn for any occasion and will always attract admiration.